In January, Kensington Palace announced that the Royal Family's newest member, Meghan Markle, became the patron of four organisations - the National Theatre, the Association of Commonwealth Universities, The Mayhew, and Smart Works. They were all chosen as "causes and issues with which [Meghan] has long been associated". The 37-year-old Duchess of Sussex has voiced her support for a campaign by black academics and students that aims to "decolonise the curriculum" in the UK. The movement seeks to "confront the legacies of the empire", the "male, pale and stale" professors in order to ensure there is diversity among those on campuses. 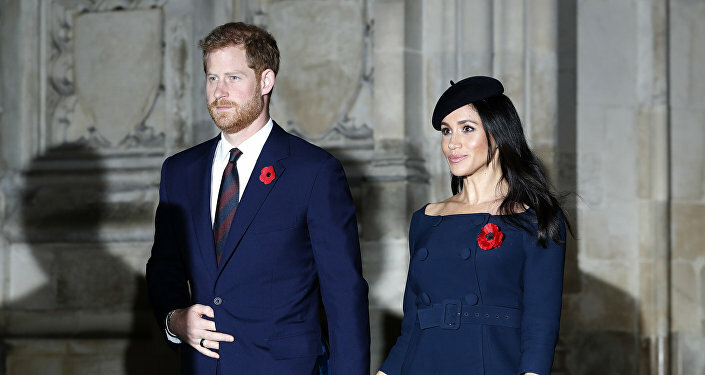 When Meghan Markle became Patron of the international organisation Association of Commonwealth Universities (ACU) in January, she expressed surprise at the low diversity of professors in the UK, British media reported. According to the media, when the newly-minted royal saw the statistical report, she exclaimed: "Oh my God!" "She was really surprised, she was like 'oh my god, really, we need to get a photograph of this", a supporter of ethnic minorities and female staff at Manchester University, Dr Rachel Cowan said. For instance, data from 2018 by an Equality and Higher Education staff statistical report showed that out of 14,205 male professors, more than 12,000 were white and only 90 were black. — Brian Haines (@crazykojak) 17 февраля 2019 г. — Paula Wright (@SexyIsntSexist) 17 февраля 2019 г. — Aline Dobbie (@AlineDobbie) 17 февраля 2019 г. — Andrew Walker (@Andrewjwal26) 17 февраля 2019 г. — CorvePoacher (@CorvePoacher) 17 февраля 2019 г. — Kenny Gana (@KennyGana1) 17 февраля 2019 г. Claiming to be fighting an imagined 'racism' with racism! — What About (@WhatAbout01) 17 февраля 2019 г. The movement was deemed controversial when students took to the streets of Oxford in 2016 in an bid to have the statue of Cecil Rhodes, the 19th Century colonialist and slave owner, removed from one of Oxford University's colleges. One of the campaigners said Rhodes was "responsible for all manner of stealing land, massacring tens of thousands of black Africans, imposing a regime of unspeakable labour exploitation in the diamond mines and devising proto-apartheid policies". During her visit at City, University of London, in Islington in late January, Meghan encouraged scholars to "open up the conversation" about curriculum in British universities in order to avoid "continuing with the daily rote" because "sometimes that approach can be really antiquated and needs an update". "Many of the issues around racial equality are similar and it is great to see her embrace this. Change is long overdue", Meera Sabaratnam, who leads the campaign to decolonise the curriculum at universities in London, told The Sunday Times.